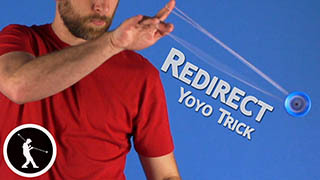 Learn how to do a useful weave trick: Letter A. 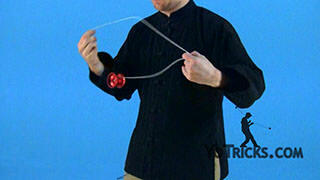 As you can see, this is a weave trick, and you can also do it in different mounts. I am going to show you in a 1.5 mount as well. That looks like that. You can see it gets you right back to your 1.5 mount. 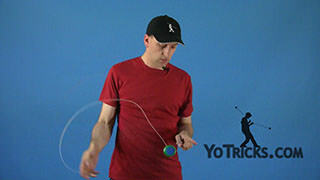 Since this is a weave trick, we do recommend that you go check out our videos for Crazy Eight as well as Figure Eight. 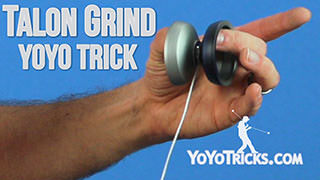 We give you some good tips in there for how to break down weave tricks and solve some problems you might run into. So you definitely want to check those out. 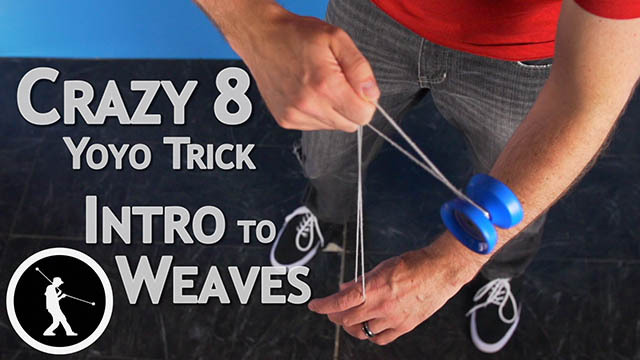 If you have learned those tricks, you know that weave tricks are all about balance. 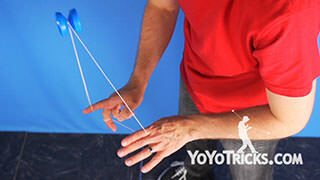 In Figure Eight, what you are going to do is start the trick by rolling to the inside of both of your hands and that puts a little twist in the string. Then you roll to the outside and that gets the twist out. 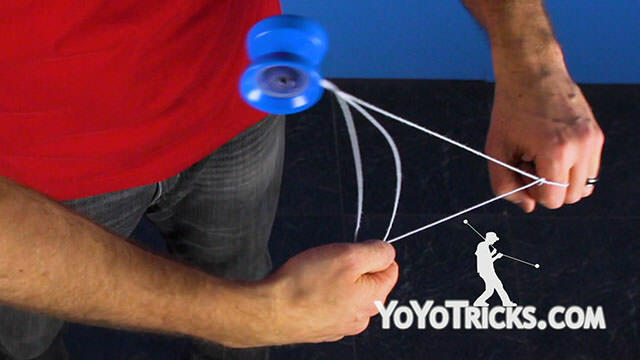 Letter A is going to be the same, except with Letter A you are only going to roll to the inside of your yoyo hand on the first pass, and then you are going to move your hands around so you can roll to the inside of your opposite hand on the second pass. That gets you back to the start. 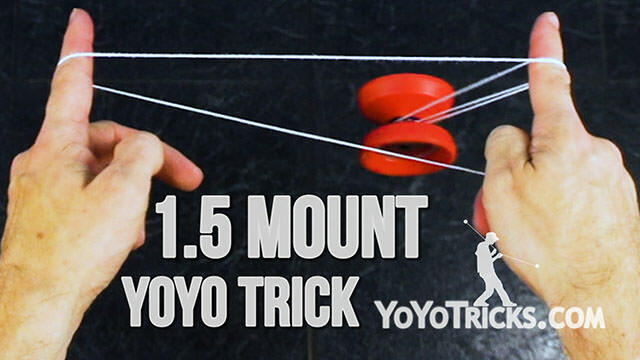 For the single mount version of this trick, the first part is really just a roll. 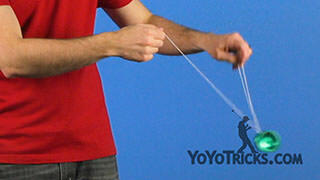 You are just going to roll it to the outside just like this between your hands. 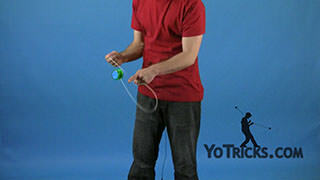 Again, unlike a flip, this string is not going to wrap around your finger, but instead you just keep your finger pointed forwards so that the yoyo can roll right in between your arms. That just achieves the first roll. 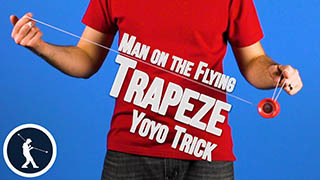 That does get you back to the trapeze. For the second roll, what you are going to roll is turn your hands around and this time you are going to roll the yoyo behind your opposite hand. 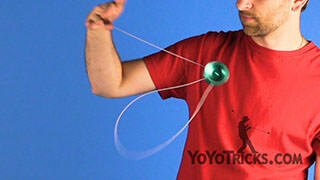 You can see that when you do this, you get a little twist in the string. 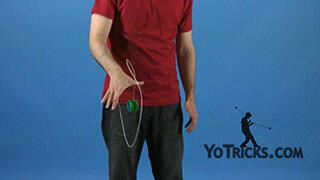 When you do that roll, you need to point your finger down and then rotate it all the way around so that it is pointing forward again. You want to do that during the roll. 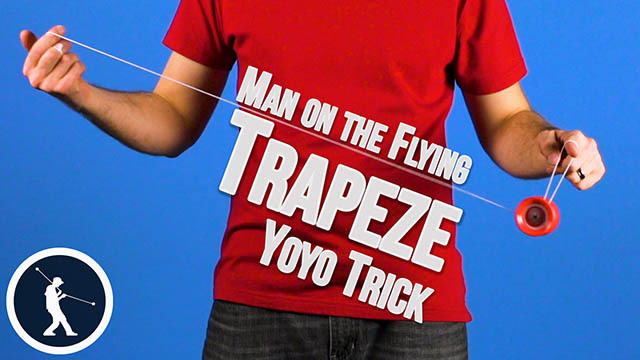 That way you get back to your trapeze. Once you have got both parts down, you can put them together. 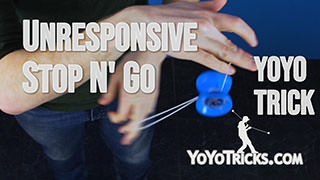 That makes a really smooth motion, like that. One thing that is neat about the Letter A is that once you have the trick down, it does not really matter what order you do the trick in. 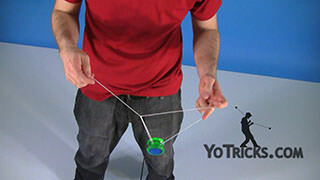 You know the normal way you start going on the inside of your yoyo hand. 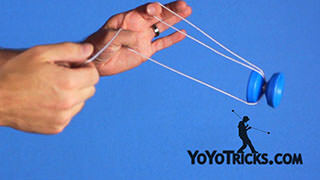 You can always start by going on the inside of your opposite hand as well, just like that. 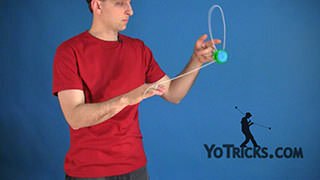 It also does not matter which direction the yoyo is rotating. You can go in the reverse direction, and you still end up right back where you started. The neat thing about that is once you start getting into the Letter A and more complicated mounts, like the 1.5 mount, it is actually easier if you reconfigure things just a little bit. 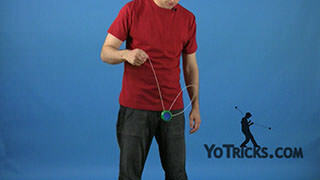 With the 1.5 mount, it is actually a little bit easier if you start by going on the inside of your opposite hand, and then finish by going in the inside of your yoyo hand, like that. When you are getting into this trick in the 1.5 mount, what you want to do is start by hooking the string with the first finger on each hand. 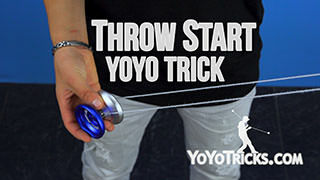 When you do that with your yoyo hand, the string coming directly off the yoyo is going to fall off of it just like that. 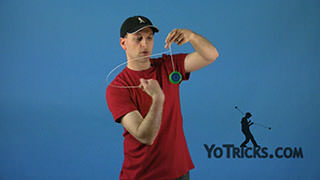 That is totally ok. You are going to do your first rotation on the inside of your arm just like that. Then you are going to do the second rotation after you get it into this crazy looking string configuration, on the inside of your yoyo arm. 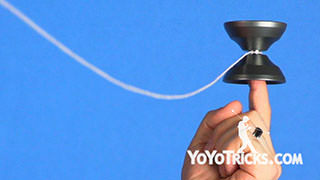 It might still look a little bit messy, but that is just because you need to pull the yoyo out like this. You can see that gets you back into your 1.5 mount. 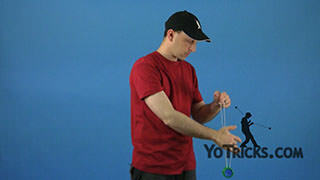 The Letter A is a really nice trick to put into different combos. 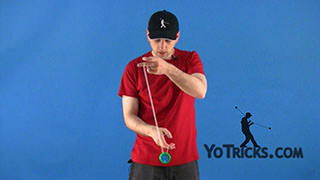 Because you always end up exactly where you started, no matter how you do the Letter A, it is a really good thing to add into sets of tricks, if it has either a single mount or a 1.5 mount. 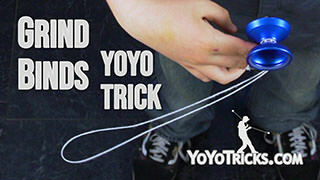 It just adds a really nice flow to your tricks, so it is a good trick to learn. And that is the Letter A.